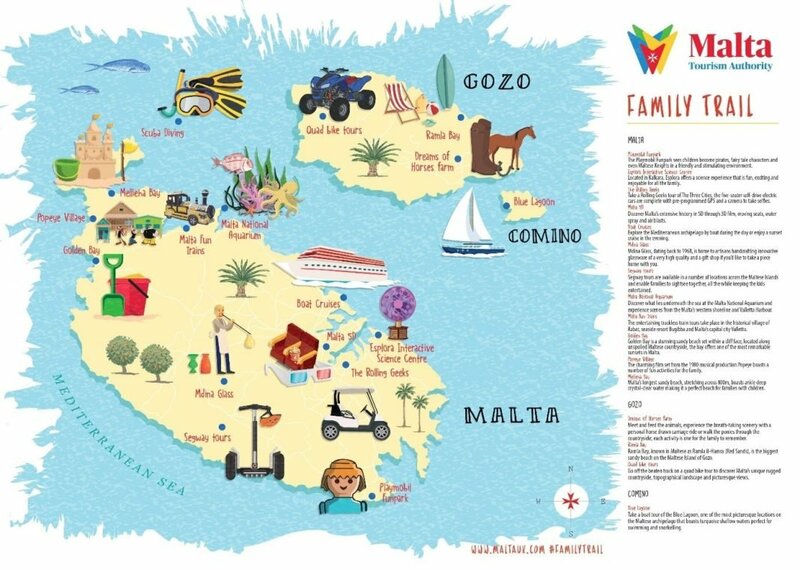 The Malta Tourism Authority’s series of themed ‘trails’ has a new addition; the Family Trail, which highlights a treasure trove of activities, sites and experiences for parents and children alike. With an average of 300 days of sunshine a year, families can discover the islands’ history, natural landscapes, marine habitats, and parks, against an idyllic Mediterranean backdrop. • Esplora Interactive Science Centre – overlooking the Grand Harbour, the center brings science to life through hands-on activities, workshops and performances. A planetarium, outdoor adventure experience, activity center and exhibition hall cater to all ages and interests. • Malta 5D – families will discover more about Malta’s extensive history in this multi-sensory 3D film with moving seats, air and water blasts. • Malta National Aquarium – the archipelago is the number one destination for diving in Europe, but for families who’d like to stay dry whilst exploring what lies beneath the Maltese waters, the aquarium showcases Malta’s western shoreline and Valletta’s Harbor. • Mellieha Bay, Malta and Ramla Bay, Gozo – the longest sandy beaches on Malta and Gozo, stretching 800m across each, are perfect for sandcastle building.